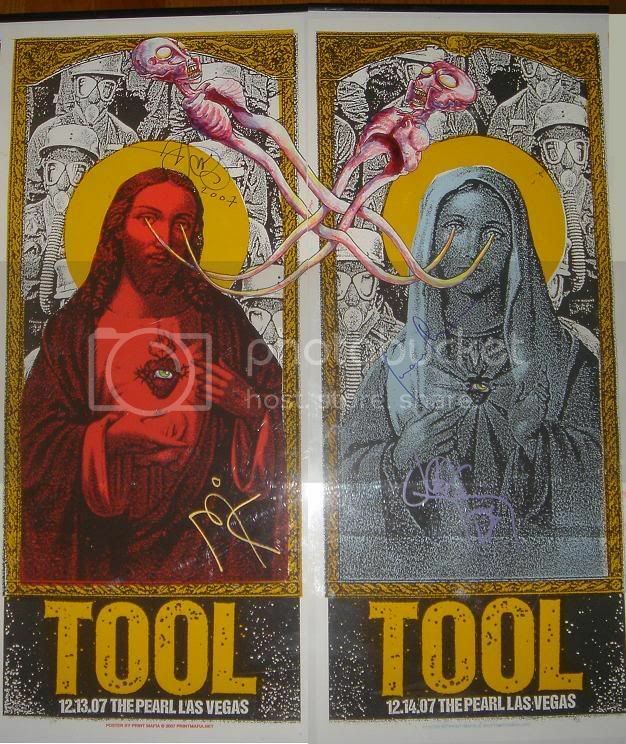 Both the Tool Hotline and a couple of reviews on Toolnavy are saying that Maynard announced at the last Las Vegas show that it would be the last one for the 10,000 Days tour. Looks like we may not get another Tool tour down under after all, unless he was just talking about the US. “We’ll see you most likely in November or December”. [quote comment=”33430″]It better not be. Well my copy of Vicarious arrived from JB today. Great video, and the commentary was good too (though I’m a massive Arrested Development fan, so I’m probably a little biased). Oh, and I checked through everything I could find on the disc – no live footage to be seen. Sorry folks. those 2 together are really nice.